When you grow up near a big city, most people just assume that you call that big city home. They think your identity is wrapped up in the grand metropolitan area that’s more than an hour and a half drive away. In Connecticut, that feeling is all to familiar when it comes to the burgeoning startup ecosystem in this east coast state. Many people assume the Connecticut startup ecosystem is simply part of Boston or New York. 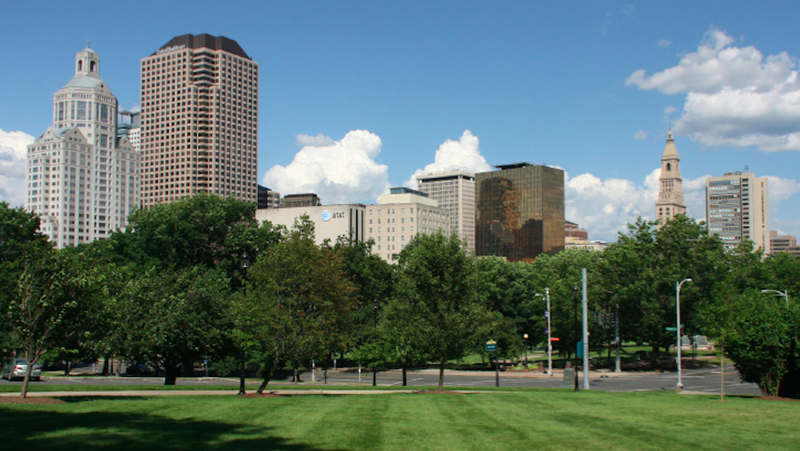 And while there are plenty resources available in those big cities, Connecticut offers similar access to investors, advisors and networking opportunities. For many entrepreneurs and aspiring founders, part of the battle is finding the secret paths to navigate the local ecosystem. Connecticut offers entrepreneurs a wide range of resources to help get their ideas out into the world. The caveat: there are resources throughout the entire state, so entrepreneurs may need some help finding the right resource for their needs. To help, local leaders worked together to create a shared calendar of events that enables entrepreneurs to networking efficiently. However, the state offers so much more. Axis901 provides a supportive and collaborative environment where entrepreneurs, freelancers, and work-at-home employees come together to share resources, ideas, and mutual support. Get to work in a productive and professional environment. Perfect for those who need to step it up from the home office or the local coffee shop. Come benefit from the company and energy of others, in an awesome space. The Grove is more than just a space; it’s a dynamic community of social innovators, independents, artists, entrepreneurs, and thinkers that are the new face of New Haven. reSET serves all entrepreneurs, but specializes in social enterprise ― impact driven business with a double and sometimes triple bottom line. The only coworking space in Connecticut’s Design District and Google eCity for creative professionals in design, advertising, marketing, interactive, publishing and technology. Located in the heart of downtown, the Stamford Innovation Center (SIC) supports a diverse community of small business owners, freelancers, innovators, and entrepreneurs by providing resources such as classes, events, and workspace. WeHa Works will provide affordable workspaces and a supportive community to small businesses, independent consultants, and creative professionals in West Hartford. The Angel Investor Forum (AIF) is a group of investors who invest their own money in startup companies. The AIF sources deals and performs due diligence together, but each member makes his or her own decisions about whether to invest in any given deal and how much to invest. The AIF believes this allows them to utilize the wisdom and experience of many members while maintaining independence of managing our individual portfolios. Connecticut Innovations (CI) is the leading source of financing and ongoing support for Connecticut’s innovative, growing companies. With the addition of the Small Business Innovation Team in 2009 and their merger with the Connecticut Development Authority — the state’s lender — in 2012, CI now proudly serves great Connecticut companies, no matter what stage of growth they’re in. CI aims to be the leading source of financing and ongoing support for Connecticut’s innovative, growing companies. By offering flexible financing, strategic guidance and introductions to valuable partners, CI enables promising businesses to thrive. The Crossroads Venture Group (CVG) is a voluntary professional organization that is committed to connecting leading Venture Investment Professionals with high-growth emerging companies. Their mission is to assist the development of these high-growth enterprises through the promotion of capital formation in Connecticut. CURE serves as the bioscience cluster of Connecticut, a diverse community of small and large life and healthcare sciences companies, ranging in scope from therapeutics, to healthcare technology, to medical devices. Universities, government agencies, scientists, educators, mentors, students, entrepreneurs, business experts, service providers, and investors join in to form the breadth of the network. As participants in CURE, they educate, cultivate entrepreneurship, support the build of bioscience companies and collaborate to ensure a sustainable, high-value bioscience and healthcare community that improves quality of life and keeps the Connecticut community strong. Topstone Angels is a private investment group dedicated to bringing new and seasoned Angel Investors together with qualified startups and entrepreneurs. Topstone Angels is a female-founded and led group that encourages female founders and entrepreneurs to apply. Topstone Angels invest in more than startups, they invest time and energy in helping entrepreneurs. If you fully participate, an accelerator program like The Refinery will provide you with two years of education in just three months. You will learn how to identify and reach your true customer. You will test your financial model for sustainability and learn how manage to the numbers. You will emerge with a stronger leadership team, more focused business engine and connections with investors, mentors, advisors, and peers that you can draw on during and after the program is over. reSET serves all entrepreneurs, but specializes in social enterprise ― impact driven business with a double and sometimes triple bottom line. In addition to providing co-working space and accelerator and mentoring programs, reSET aims to inspire innovation and community collaboration, and to support entrepreneurs in creating market-based solutions to community challenges. The goal at reSET is to meet entrepreneurs wherever they are in their trajectory and to help them take their businesses to the next level. There is a tremendous amount of valuable events and meetups in Connecticut. The easiest way to sort through the networking opportunities that are the best fit for your company is to visit The CT Entrepreneurial Calendar. From programs at coworking spaces to happy hour events and educational events at many colleges and universities throughout the state, the entrepreneurial calendar will have an event to move your company forward. A100 is an apprenticeship program for aspiring software developers. A100 works with college students and graduates eager to hone their skills in the craft of software development. The program is perfect for companies looking to hire in-state development talent and individuals looking to grow their development skills and career. The Connecticut Technology Council (CTC) is a statewide association of technology oriented companies and institutions, providing leadership in areas of policy advocacy, community building, and assistance for growing companies. This includes working to position Connecticut as a leader in idea creation, workforce preparation, entrepreneurial aptitude, early stage risk capital availability, and providing on-going support and mentoring to high potential firms. CTNext equips startups and entrepreneurs with resources, guidance, and networks to accelerate growth and success. Think of CTNext as a roadmap to help you find your way as you grow your business. CTNext is here to connect you to mentors, resources, advisors, and tools that will drive your business to the next level. Any Connecticut-based business can apply and enjoy the perks of being a member. LaunchEZ is a crowd-sourced resource database for startups. LaunchEZ relies on the community to develop a comprehensive database of entrepreneurial resources. The platform allows entrepreneurs to define their individual community based on location, industry or a variety of other factors. The Asus Zenbook S13, the Lenovo Yoga S940, and the Samsung Notebook Odyssey are just the start: Here are the most interesting laptops debuted at CES 2019. It's the very big, the very light, and the ones with the extra artificial intelligence you never knew you needed. Joel Whipple works to help businesses grow. Joel balances an understanding of entrepreneurship and digital media to help companies identify, develop and leverage an engaged audience.